I don’t know about you, but I was a big fan of the Choose Your Own Adventure series when I was a kid. 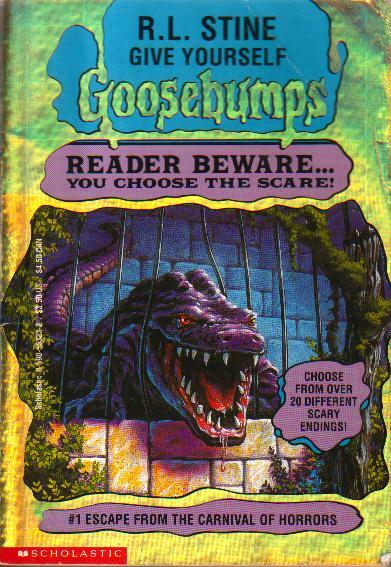 Actually, I preferred the Give Yourself Goosebumps (Reader Beware: You Choose the Scare!) series, in which deaths were absurdly common and there were only a few happy endings in a book…well, let’s say at least one positive ending but nothing promised beyond that. In all probability, you’d die a painful and/or terrifying death. Choose Your Own Adventure combined story with game play, putting the reader into the role of the protagonist and letting them choose which way the story would go. If you didn’t like the ending (let’s say, you were eaten by a giant reptilian humanoid, and that’s not your thing), you could always start again from the beginning and make different choices at crucial moments (such as, don’t go into the giant reptilian humanoid’s den where he likes to skin unsuspecting twelve-year-olds, maybe go eat ice cream instead). There’s something magical about back-tracking and making a different choice. Adult choose your own adventure books are not quite as prevalent, as far as I’ve seen. Maybe because, as adults, we’re forced to make so many of our own choices day in and day out, we don’t mind so much letting go of our control issues and allowing a story to take us on a journey. (Though this doesn’t stop us from screaming at a page/screen when a character does something horrendously stupid – I’m not the only one, right?) Or maybe, as we grow up, we tend to let the importance of playing games fall out of our range of priorities – which is a bit of a tragedy. 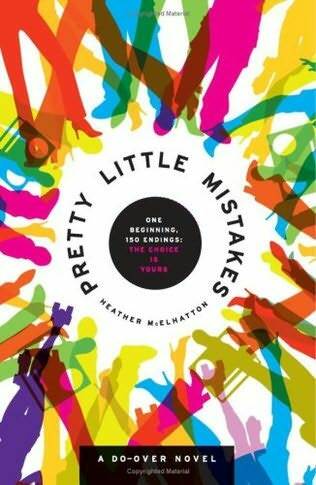 There are a few adult CYOA books out there: Pretty Little Mistakes: A Do-Over Novel by Heather McElhatton, is one that comes to mind. With 150 different possible endings, the novel reminded me of an elaborate version of MASH (not the TV show, geez), the game we’d play as kids where, through several cycles of counting, you’d find out who you’d marry (David Duchovny or The Green Power Ranger? ), where you’d live (a mansion or a shack? ), what you’d do (a doctor or a pizza taster?) and what car you’d drive (the Wiener Mobile or a Volvo? ), among other things. If you always wished you’d have gone backpacking across Europe when you were 20, well then you could do that in this book, though you’d probably be murdered by some guy from [insert random European country here]. At least that seemed to happen to me multiple times. I got rather bored with the whole thing, to be honest – if I’m going to die in a book, I’d rather a giant reptilian humanoid kill me than some sleazy Italian drifter. 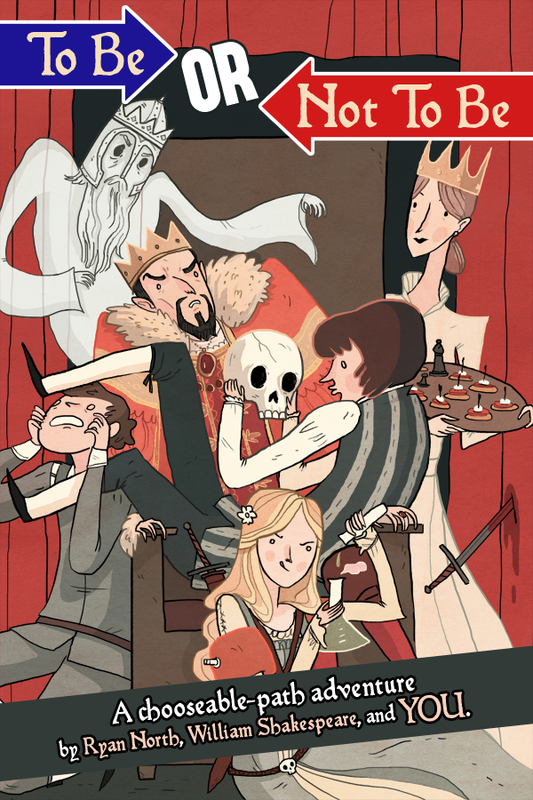 This time last year, Ryan North had a ridiculously successful Kickstarter campaign (one of the top-funded publishing projects ever on Kickstarter to date) to fund his CYOA version of Hamlet: To Be or Not to Be: A Chooseable Path Adventure. He combines comic books, Hamlet and the CYOA model to create this adult-oriented (complete with pirates) version of the Bard’s great tale. Haven’t read it yet, but I’m intrigued. When fiction starts mashing up with technology, you get even more complicated interactive stories. 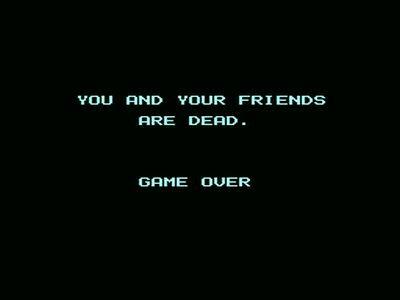 Though I’m not a “gamer” myself (my teenage brother constantly asks me if I’ve heard of this game or that game and when I say no I’m met with innumerable eye-rolls suggesting I am, indeed, the old fogey I always knew I would be), I have to admit that we’re in a heyday of video game narratives. Stories are getting more complicated, more gritty, more character-based than ever before – there is far more existential debate in today’s video games than in Mario and Luigi’s good vs. evil simplistic view of the world. I don’t know recent video games well enough to comment specifically on favorites, unfortunately. Beyond video games, which will always be games first and narratives second, real fiction and non-fiction books are interacting with technology in a number of ways, making the levels of interaction with a story or text more layered. This can range from a book having its own website for continued research, such as the extras featured on the Wonderbook website, to the complete hybrid of video games and fiction such as the new e-book Crowded Fiction that is basically a digital version of the classic Choose Your Own Adventure book. The unique and innovative Jaded Ibis Productions may be the perfect example of a publisher that truly believes in this collaboration between narrative, technology and other art forms. They actively seek projects that use technology as an integral part of the narrative and, in some cases, stories that cannot be told without the multimedia element. They’ve done their own interactive iBooks, but my own experience has been with the book-app. 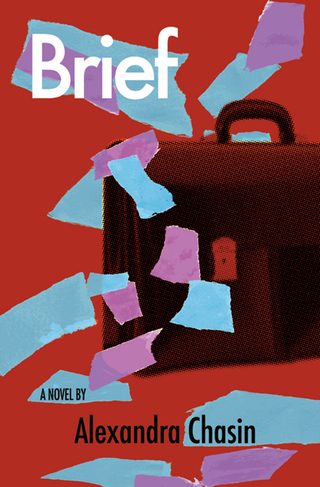 The new novel Brief by Alexandra Chasin was published as its own app for the iPad, and its uniqueness is centered around the way it illustrates itself. From the book’s webpage: “The app randomly locates images and then wraps the text around them. As a result, every screen of Brief is unique, generating new combinations and new meanings. Swipe forward and backward, you will never see the same screen twice.” A paperback version, as well as a $8500 snow globe version (yeah, you read that right) both exist as well, but the app is an innovative approach to illustrating a book, where the illustrations continually change their minds, swooping in and out of pages and distorting the text in different ways – all of which serve the basic heart and arguments of the novel. I’ve only just started it, so we’ll see how the effect works as you get deeper into the story. With the emergence of e-books, we can’t help but see the inescapable interaction between fiction and technology these days, and while some see this as a death to the whole industry (seriously, calm down, y’all), it is also an ever-widening opportunity to redefine how a reader relates to a piece of fiction. Whether it simply means being able to carry your own library in your pocket, connecting to chat rooms or websites through the book itself, allowing the book to have a mind of its own, or to actually play a part in the narrative yourself, its an exciting time for us as readers and writers to play with the possibilities and choose our own book adventures. Being naturally curious/ a bit of a weird obsessive (delete as appropriate!) as a child, whenever I had one of those books I had to find every possible ending and how to get there… And was always a massive fan of MASH too (I can’t believe I’d forgotten its existence when it was our number 1 form of entertainment as 8 year olds! ), although always preferred calculating other people’s futures to having my own done… Glad to see the concepts are alive and well, and that I’m not too old for them yet (and thanks for the heads up on the Hamlet, which sounds intriguing!) I guess it’s a question of how much control we as readers want: we’ve all had moments where we’ve thrown down a book in disgust because that *isn’t* what we wanted to happen, but would we actually rather be able to change it? I vaguely remember a couple of these when I was a kid… I’ll have to give an adult version a try sometime. Thanks for the recommendations!!!! Adult choose your own ending stories…how did I not know about these! I love the idea of an interactive ebook what a crazy leap forward, though I must admit like Erik I too relish the weight, feel, and smell of books. Wow. 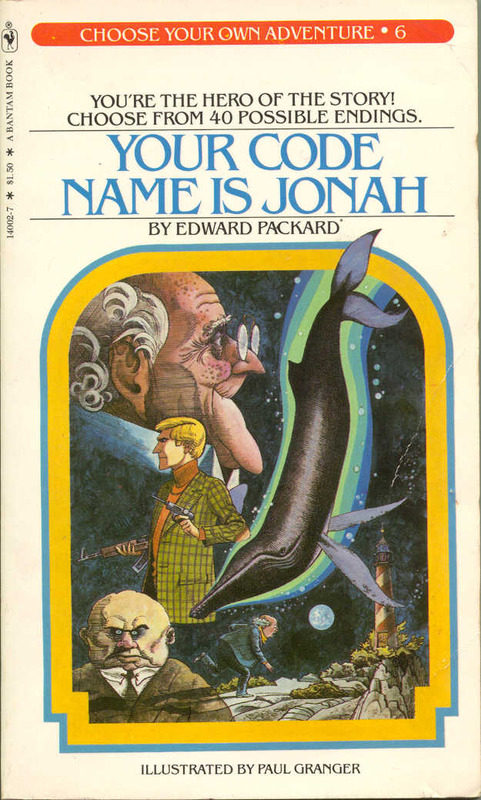 I used to own the Code Name is Jonah, and a couple of the RL Stine books. Thanks for the memories, and letting me know that there were adult CYOAs out there. I’m excited! And here’s an article about another interesting video game, The Stanley Parable, part exploration game, part narrative story game, part game of choice. Wow. I am in awe that you would write about ‘Choose Your Own Adventure” books. These books were the pinnacle of my childhood reading experience, and a prized treasure that I thought only I knew about. I love how books link us all together. Thank you for writing this! 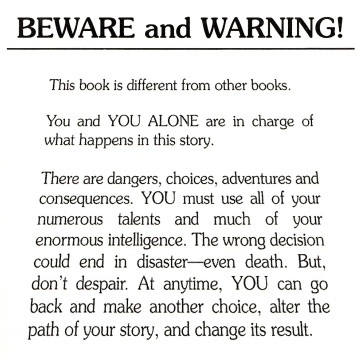 I used to love those “choose your own adventure books”! As I writer I do feel that it is a gift to be able to take adults away from the stresses of everyday and let them lose themselves in story. Great post! I say yes to CYOA books! I think I’m going to try and check out the adult ones you mentioned – I had no clue they were out there before this post. Thanks! This entry was posted on December 2, 2013 by Eclectic Voices in Blog and tagged Adventure, Brief, Choose Your Own Adventure, CYOA, David Duchovny, Games, Give Yourself Goosebumps, Heather McElhatton, Jaded Ibis Productions, Kickstarter, Ryan North, Video game, Wonderbook.